The National Sweetheart pageant, an important part of the Hoopeston Sweetcorn Festival, runs deep with sweet history. Although not affiliated with the Miss America Organization, it runs like an official pageant, and invites the first runner up from each state pageant to compete. New York usually sends a representative, and this year Jamie Lynn, Miss Staten Island, accepted the honor of Miss New York’s Sweetheart. The week began Monday, after packing and repacking a rainbow of dresses and shoes and other important pageant prep tools. She flew out to Hoopeston, Illinois, and joined 42 other beautiful, poised, charismatic state representatives. The first line of duty: receive official state sweetheart sashes! Contestants were actually housed with pageant volunteers, instead of a hotel. Various local own members hosted 3-4 contestants each, in their home, and accepted them in like family. The first day of rehearsals was broken up with a trip to the farm, where contestants were able to drive a tractor and play around in one of the many corn fields. Wednesday, filled with more rehearsals, also gave girls a fun photo booth photo shoot with props and glasses, and then a radio interview. This pageant is a big deal for the local townfolk. Miss Hoopeston, Terra Scharlach, is the official hostess to the contestants all week, as well as a representative of the town. Competition stepped up on Thursday, when each girl participated in her private interview with the judges. This year, for the first time ever, the preliminaries and final night of competition were live-streamed, for free. This not only gave the parents who were unable to fly out the opportunity to see their daughter compete, but gave friends and families, local directors, and other contestants the opportunity to really see what the National Sweetheart pageant is all about. The contestants had previously been broken into competition groups, and each group only competed in half of the competition each night. Friday night, Jamie’s group competed in talent, and Saturday swimsuit, evening gown, and onstage question. Laura Lee Lewis, Miss Mississippi’s Sweetheart took home both a swimsuit and talent preliminary award. Rachel Foehlinger, Miss Nebraska’s Sweetheart won the talent award on the first night and Bailey Moses, Miss Arkansas’ Sweetheart, won the swimsuit award on the second night. Sunday before finals, the girls were still busy serving the local community. After visiting the Heritage Health Nursing Home, all 43 contestants participated in an autograph signing event. And then it was time for finals! The first set of finals, said to be a Top 15, surprised the audience by announcing instead a Top 16! 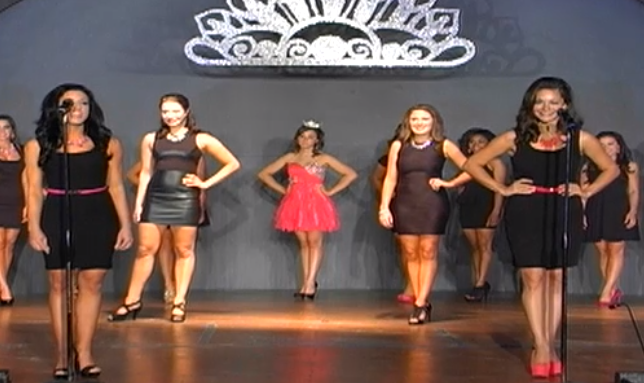 The Top Ten ladies competed in both talent, and after an intermission returned for evening gown. The final five contestants returned to the stage one last time for the On Stage Question portion. 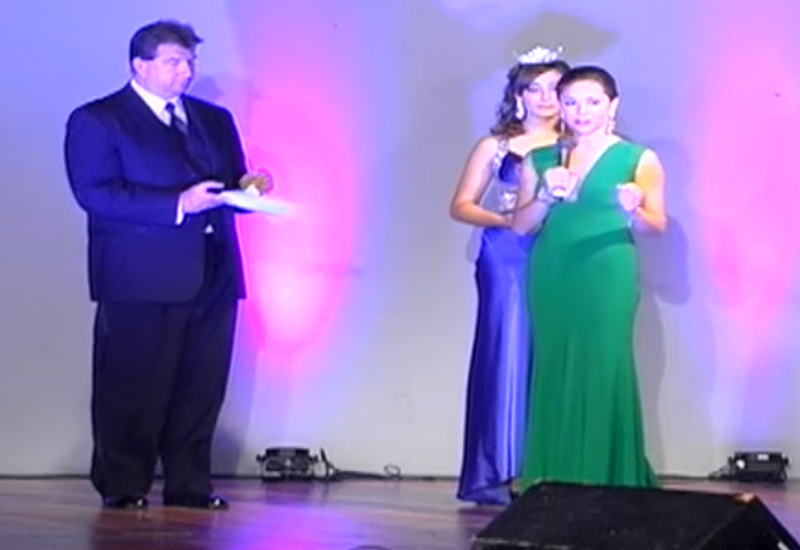 After an abundance of sponsor shoutouts and thank-yous, the final crowning ceremony began! Miss Alabama Sweetheart, Elisabeth Chramer, won the Producer’s Award; chosen by the producers. Minnesota, Rachel Latuff and Puerto Rico, Stephanie Ramos both earned the John Bitner Memorial Judges Award. Ronnie Reid Platform and Service Award went to Delaware, Brooke Mitchell. 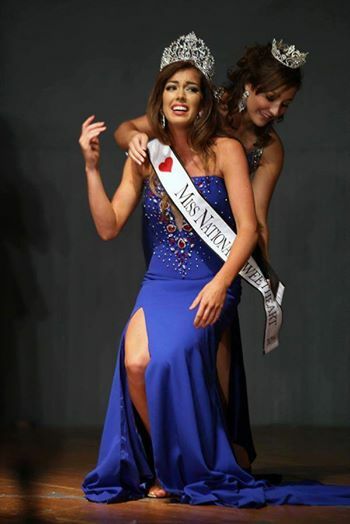 Miss Wisconsin Sweetheart, Chelsey Wasielewski, won the Miss Congeniality award.